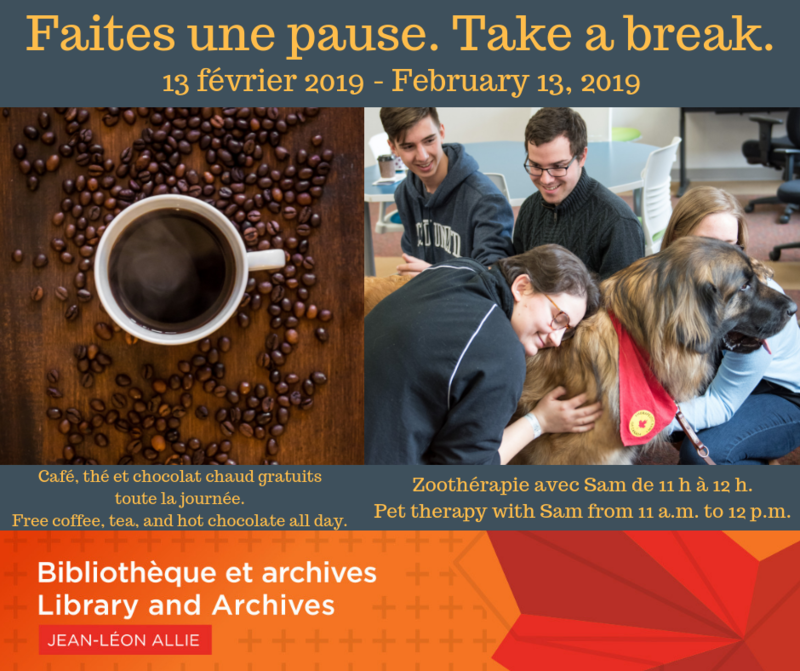 You deserve a break at the Library! Take a well-deserved break with Sam from Therapeutic Paws of Canada! He will be with us on February 13 from 11 a.m. to 12 p.m. Hot beverages will also be available all day long!